We have four grocery stores on island: Annye’s, a natural and organic food market, Bartlett’s Farm Market, which sells their own produce and other imported groceries, and two chain stores Stop & Shop and Grand Union. When it comes to frugal eating there’s no question about Annye’s being outside of our budget. Bartlett’s has some possibility because it has a member discount day (10% off Tuesday), but I don’t make it out there much because I have to drive and the few times I did go resulted in large bills. As much as I want to shop local, sometimes the budget gets the final say and that leaves us with the chains. Until recently, with the rare exception, we’ve been shopping at Stop & Shop, because the selection is bigger. They have more organic and natural products, especially in the produce section. I hadn’t really bothered to do a price comparison, I think we just assumed Grand Union would be more expensive because it is on the wharf. Usually a town location does one thing to prices. But, as I said yesterday, I decided to actually do some real price comparisons this weekend, for the first time since we moved here. Armed with a list of our staples, I first tackled Grand Union then Stop & Shop, walking through the isles, reading, and recording prices. (I had a column for Bartlett’s but ended up deciding to leave that for another day.) I’m so glad that I took time to do this, because I made some very surprising discoveries…and will be changing our food purchasing because of them. 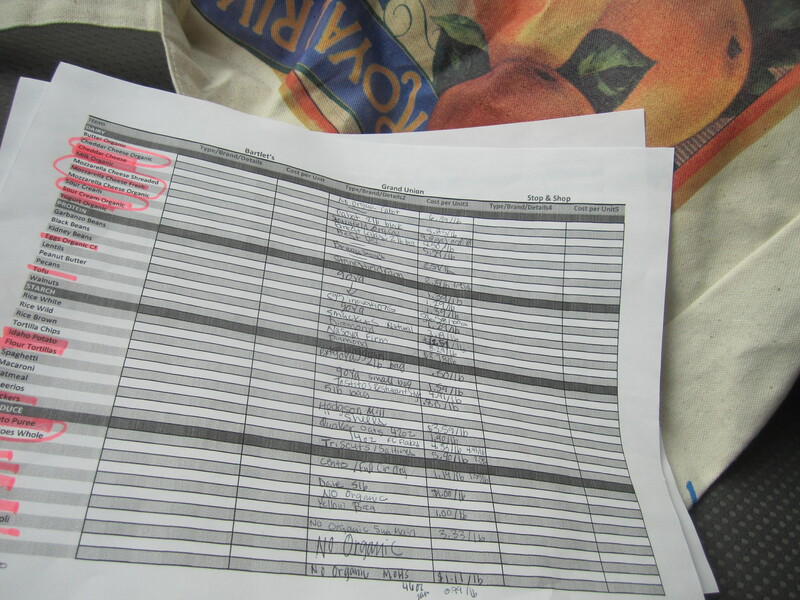 Our staples list was divided into categories by type: dairy, protein, starch, produce, and other; it was tailored to our purchasing preferences. I didn’t, for example, price things that might be staples for other families but that we don’t buy, like meat and bread. I didn’t price many fruits or vegetables for a few reasons. First, the price of produce constantly changes and it could very well be different today — I didn’t want to waste my time. Second, I don’t care how cheap strawberries are today, or if they’re cheaper at Grand Union than at Stop & Shop; one of our hard and fast food rules is to eat food when it’s in season and to eat produce only from the US. Garlic being the one exception, we will go without before we buy produce with a passport. And, third, there are somethings we will only buy organic — namely the Dirty Dozen: Grand Union doesn’t have much organic produce, so I didn’t bother to write down the cost of the non-organic version of celery, for example. I didn’t price any frozen food at all, because we really only buy some frozen vegetables during the winter and since they’re only for Nora we only buy organic…and ice cream isn’t enough of a “need” to be built into the budget. I did add some things (mostly to the “other” category) out of curiosity once I was already out, so the list has a few more things than we would buy on a regular basis. When looking at items with multiple sizes, I always looked at the cheapest per unit size (generally the biggest). With rare exceptions, I tried not to be brand loyal and just recorded the cheapest equivalent product. For example, the cheapest natural peanut butter (containing only peanuts and salt) at Grand Union was Smuckers and at Stop & Shop was Teddie. For a few apples to apples comparisons, I sometimes recorded the cheapest and a brand that was at both stores. What did I learn? 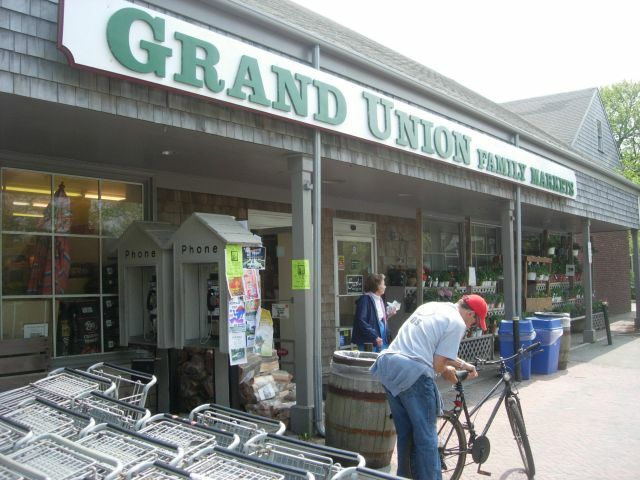 Apples to apples, in nearly all cases, Grand Union is cheaper than Stop & Shop. Cabot cheddar cheese $5.85/lb (GU) vs. $6.98/lb (S&S). Premium Saltines $2.50/lb (GU) vs. $3.38/lb (S&S). Goya dried kidney beans $1.39/lb (GU) vs. $2.00/lb (S&S). Colavita EVO $53.80/gal (GU) vs. $65.85/gal (S&S). Seventh Generation dish soap $16.32/gal (GU) vs. $24.01/gal (S&S). What makes Stop & Shop competitive is their store brand — including the Nature’s Promise organic/natural store brand. If you are open to buying non-organic or non-natural store brand items instead of brand name, Stop & Shop is cheaper than Grand Union. One example of this for us is canola oil. The largest container of store brand (Best Yet) at Grand Union sells for $14.80/gal; the largest Stop & Shop brand sells for $9.99/gal. 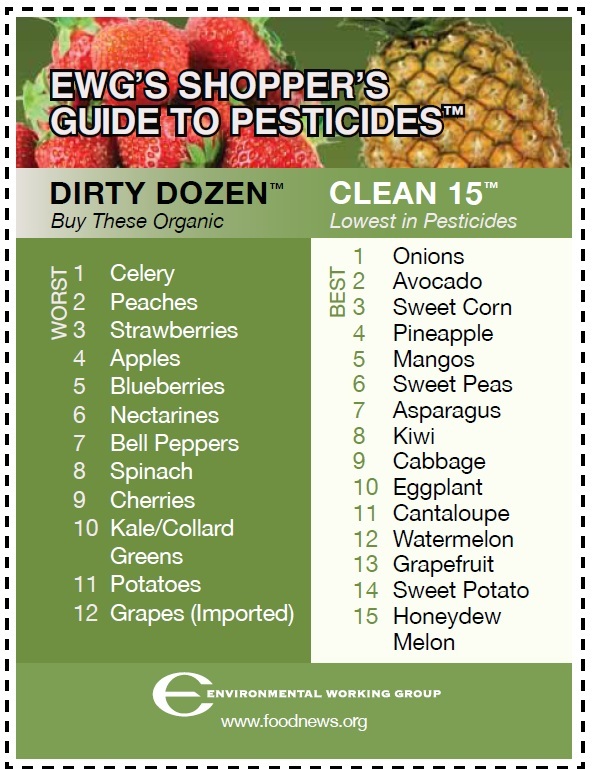 Additionally, in many cases even the organic store brand is the cheapest option! Nature’s Promise organic vegetable stock, for example, is $1.50/lb; a competitor option, Kitchen Basics (not organic) is $1.70/lb at Grand Union and $1.75/lb at Stop & Shop. Canned beans are cheaper than dried. This was the biggest shock of the trip. We’ve always bought dried beans instead of canned, because everywhere else we’ve lived they were the cheapest option — especially if you can buy them in bulk. But, I discovered that in the strange world of Nantucket canned beans are actually cheaper than dried…including organic canned beans! Grand Union only sells Goya, which are $1.29 or $1.39/lb (depending upon the type); Stop & Shop’s Goya beans are through the roof (as mentioned above) and their store brand dried beans are the same price as the Goya at Grand Union. Nature’s Promise organic canned beans (of any variety) are 1.13/lb, making them cheaper than even the non-organic dried store-brand variety. The only cheaper option was due to a current special at Stop & Shop; through the 24th (I think) Goya canned beans are 3 for $2 (I bought 12 cans). It’s worth it to price shop and go to multiple stores. We used to do this in New York, buying our groceries at a local store, Adam’s Fairacre Farms, and our pre-packaged (cereal, etc.) and household stuff at a chain. When we moved here, I got out of the habit of going to multiple stores. No more. Now we have a list of what we’ll buy where, based on price, and I’m going to commit to going to both stores. Since they are both walking distance there’s no extra expense as far as gas, just time. I do want to investigate Bartlet’s again, but I’m not optimistic that there will be much money saving there. If you are interested in seeing the price comparisons for my complete list, I have it laid out in a Google spreadsheet. After everything I’ve realized, I’d definitely encourage you to put together your own list and spend the time comparing prices in your local stores. You might be surprised by how much you can save! If you decide to do them, I’d love to hear how it goes and what you discover. If you’ve done price comparisons already, did you, too, have surprising results? What were they? Hi, I don’t think your worries about canned vs dried beans are quite right. A pound of dried beans is equivalent to at least 3 cans of canned beans. In my experience, maybe 4 cans. Hi Cathy – Thanks for reading and commenting on my blog! I did realize my math error about a week after I wrote this post, but I forgot to come back and note it…silly me. 🙂 I am back to buying dried beans.